case, or i as in the first case, is found to be 1.22. 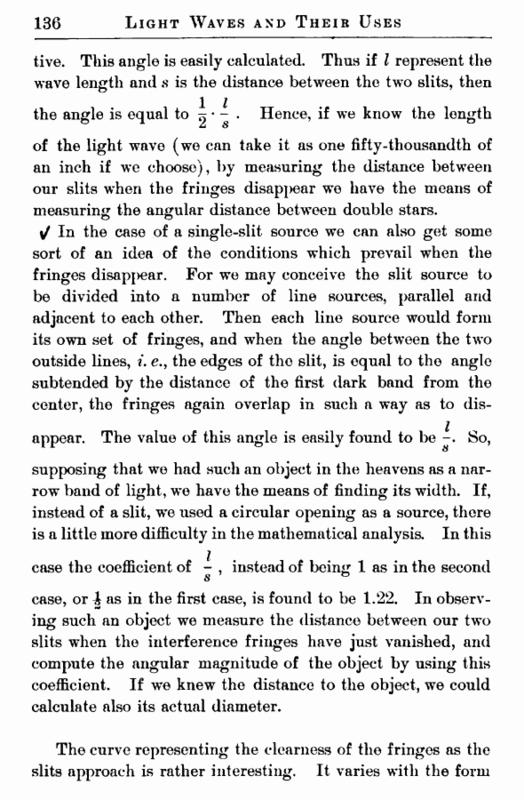 In observing such an object we measure the distance between our two slits when the interference fringes have just vanished, and compute the angular magnitude of the object by using this coefficient. 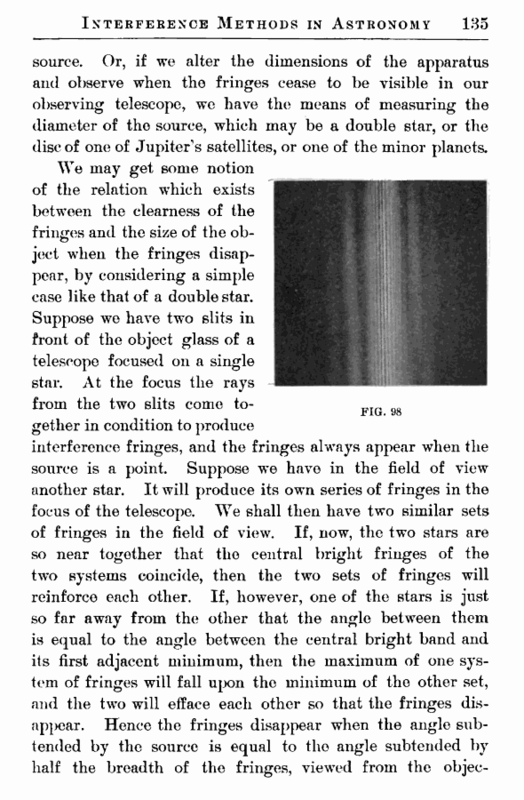 If we knew the distance to the object, we could calculate also its actual diameter.